Sarah J Buckley is a New-Zealand-trained GP/family physician with qualifications in GP-obstetrics and family planning. She is the mother of four home-born children, and currently combines motherhood with her work as a writer on pregnancy, birth, and parenting. She is also a PhD candidate at the University of Queensland,, where her research is focused on the hormone systems of labour and birth and the impacts of interventions.. 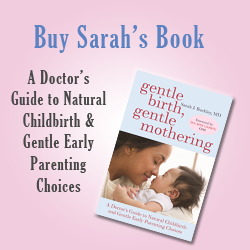 Her bestselling book Gentle Birth, Gentle Mothering: A Doctor’s Guide to Natural Childbirth and Gentle Early Parenting Choices, published by Celestial Arts/PenguinRandomHouse (US, 2009), builds on her acclaimed first edition, published in Australia as Gentle Birth, Gentle Mothering: The Wisdom and Science of Gentle Choices in Pregnancy, Birth, and Parenting (One Moon Press, Brisbane, 2005, available as ebook here ). Dr Buckley has presented at over 120 workshops and conferences in Australia, New Zealand, Europe, the UK, the US and Canada, lecturing to midwives, nurses, physicians, obstetricians, doulas, and childbirth educators as well as mothers and fathers. See below for a more complete list. See her upcoming talks and videos of her talks. She has been interviewed on issues related to birth and mothering for TV, radio, newspapers and magazines, and also for educational and birth-related DVDs including the films Orgasmic Birth. and Reducing Infant Mortality Dr Buckley is a member of several international editorial boards including International Caesarean Awareness Network (ICAN) and the International Childbirth Education Association (ICEA). Her work has been translated into Italian, French, Spanish, German, Hebrew, Polish, Hungarian and Estonian, and her book is available in Italian and Czech. Dr Buckley’s interest in birth was shared by her late father, Tim Buckley, and grandfather HF (“Buck”) Buckley, both of whom practiced as family physician/GP-obstetricians in her hometown: Whangarei, New Zealand. Both Sarah’s father Tim and mother Nola were born at home, with Nola’s birth attended by her father’s mother as midwife. Sarah trained in medicine, including studying anthropology and philosophy, at the University of Otago, where she gained the qualification MB, ChB, equivalent to MD in the US and MB BS in Australia. She gained her Diploma of Obstetrics at the University of Auckland, and subsequently trained as a family physician (GP) in Palmerston North, New Zealand. She moved to Melbourne, Australia in 1987, where she worked in community health, general/family practice and with Dr Peter Lucas at Wattle Park House — a homebirth general practice — for several years. 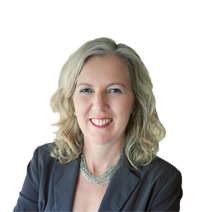 Sarah also holds a certificate in Family Planning and is a member of the Royal Australian College of General Practitioners, the Australian Medical Association, and the Australian College of Nutritional and Environmental Medicine. Her understanding of birth and mothering as a journey of transformation has evolved from her own experiences, and has deepened through her participation in birthing and women’s workshops. She has experienced almost everything that she writes about, including instinctive pregnancy; ecstatic birth; attachment parenting, co-sleeping, long-term breastfeeding (Sarah has enjoyed being pregnant and/or breastfeeding for more than 15 years), lotus birth, raising babies without nappies/diapers, yoga in pregnancy and mothering, and gentle parenting through the teenage years and beyond. Her personal interests and hobbies include yoga and meditation, which she has practiced for over 20 years; natural family health and healing; camping; bushwalking/hiking, swimming; world music; and dancing. Sarah lives with her family in the semi-rural outskirts of Brisbane (Australia). “Unlocking the potential for normality” The Practicing Midwife, June 2004;7(6):15-7. “Placenta rituals and folklore from around the world” Midwifery Today International Midwife, Winter 2006;(80):58-9. “Prenatal Diagnosis: technological triumph or Pandora’s box?” Midwifery Today International Midwife, Spring 2006;(77):18-9, 61-6. A second look at third stage. International Confederation of Midwives, Brisbane, July 2005. The hormonal impact of obstetric interventions Lecture at ‘Breathing New Life: Working Together to Keep Birth Normal’ multidisciplinary conference for birth professionals, Gold Coast Sept 2008.